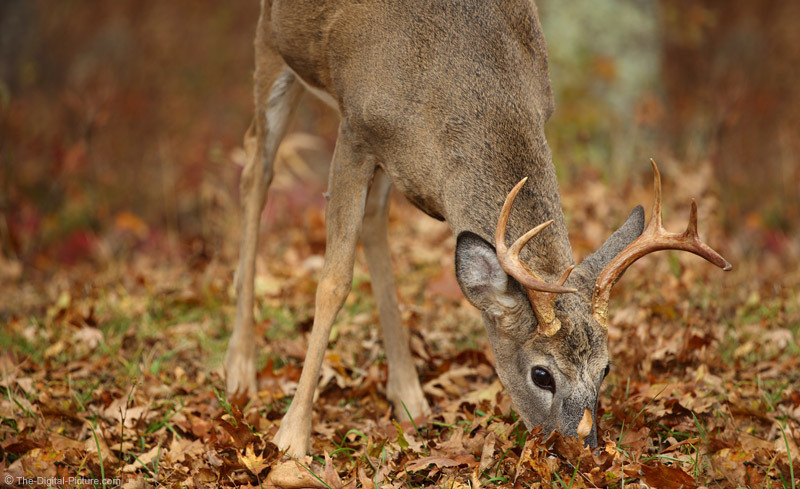 A buck feeds at the edge of a small clearing in SNP. As moments like this do not come often or last long, I was shooting fast. Slightly too fast in this case as I did not allow enough room to the right of the deer for proper compositional balance. No worries – just another fix for Photoshop to take care of.